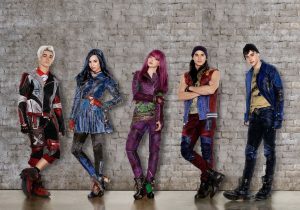 The story deepens in the music-driven sequel to the global smash hit “Descendants,” as the teenage sons and daughters of Disney’s most infamous villains — Mal, Evie, Carlos and Jay (also known as Villain Kids or VKs) — try to find their place in idyllic Auradon. When the pressure to be royally perfect becomes too much for Mal, she returns to her rotten roots on the Isle of the Lost where her archenemy Uma, the daughter of Ursula, has taken her spot as self-proclaimed queen of the run-down town. 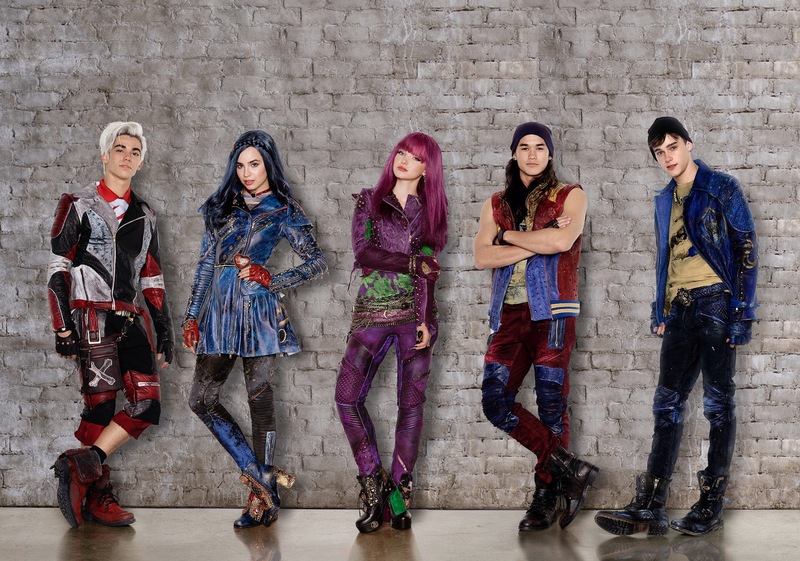 Uma, still resentful over not being selected by Ben to go to Auradon Prep with the other Villain Kids, stirs her pirate gang including Captain Hook’s son Harry and Gaston’s son Gil, to break the barrier between the Isle of the Lost and Auradon, and unleash all the villains imprisoned on the Isle, once and for all. 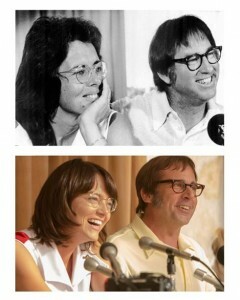 More remakes! Two Disney films are getting remakes and both have gender twists. I’ve always had a lot of affection for Disney’s Rocketeer, with Billy Campbell, Timothy Dalton, Alan Arkin, and Jennifer Connelly. It was not a hit when it was released, but it is stylish and smart and exciting. I’m not the only one who considers it delightful. Disney has announced a remake, but this time the title character will be black and female. And there’s a gender switch in the other remake as well. In a new version of Splash, Channing Tatum will play the mer-man, and Jillian Bell will be in the Tom Hanks role. Mel Gibson’s new film is “Hacksaw Ridge,” the true story of WWII medic Desmond Doss, played by Andrew Garfield (“The Amazing Spider-Man”), who, in Okinawa during the bloodiest battle of WWII, miraculously saved 75 men in a matter of hours without firing or carrying a gun. He was the only American soldier in WWII to fight on the front lines without a weapon. He single-handedly evacuated the wounded from behind enemy lines, under constant enemy gunfire and artillery bombardment. Doss was a Seventh Day Adventist and a man of deep faith who saved the lives of men who had harassed him for refusing to carry a gun. He believed the war was just, but to kill under any circumstance was wrong. Doss was labeled the first conscientious objector (he called himself a “conscientious cooperator” as he volunteered) to receive the Congressional Medal of Honor. 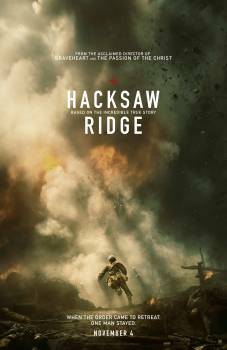 The film also stars Sam Worthington, Luke Bracey, Teresa Palmer, Hugo Weaving, Rachel Griffiths and Vince Vaughn and is coming to theaters nationwide November 4th, 2016. Hamilton writer/star Lin-Manuel Miranda and Emily Blunt will bring us Disney’s new sequel, “Mary Poppins Returns.” P.L. Travers wrote six books about the magical nanny so there is a lot of great material for new adventures. This will be exciting! Here are Riggs and King at the press conference announcing the match, and Stone and Carell performing in that scene in the film.